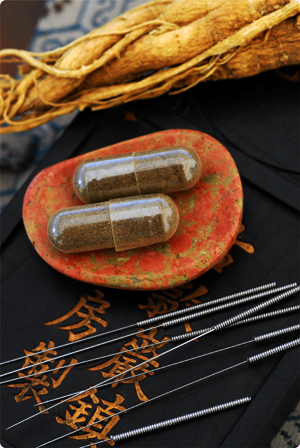 Traditional Chinese Medicine (TCM) is a system of medicine that is about 2000 years old. At its core are the concepts of yin & yang and their balance. In simple terms – yin is the heavier aspect of the body, the fluids and fats and cold aspects that counter & complement the yang – which is racy, energetic and warm aspects. You need them both but in equal amounts. Too much yin and you are weighted down and you will want to sleep all the time. Too much yang and you become frenetic and are prone to insomnia. When the body is in balance – all systems are go. You have enough energy, can eat what you want, you can concentrate when needed and rest when needed. But when things get out of balance – you can have pain or illness. I use acupuncture, herbs, massage and lifestyle changes, to help you get your body back in balance. TCM can treat a wide range of illnesses.